As the largest of the RSPB reserves, we manage a vast peatland landscape which visitors can experience by exploring one of our two self-guided trails or joining one of our guided walks. The new Flows Lookout Tower gives a unique perspective of the pool system on our Dubh Lochan Trail, which is a classic example of the type of pools that are found throughout the Flow Country. A threatened landscape, peatlands have vanished across much of Scotland, but the RSPB is helping to preserve and restore this vital area of internationally important habitat. Summer is the best time of year to visit, when golden plovers, hen harriers and greenshanks breed. 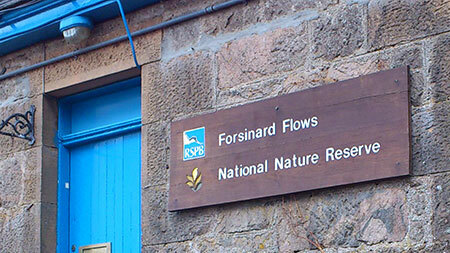 Don't forget to stop off at our visitor centre too! It contains local information, a peatland exhibition and multimedia film, light refreshments and toilet facilities.